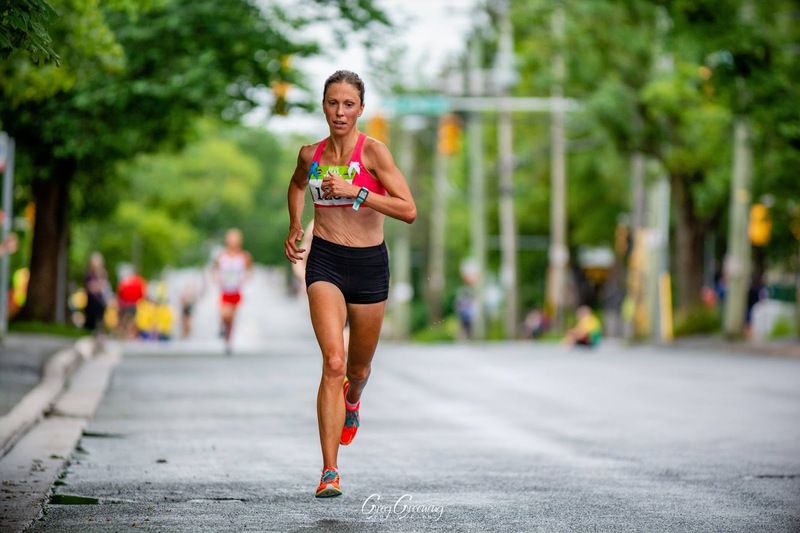 Canadian half-marathon champion, Tely 10 course record holder, Newfoundland and Labrador Athlete of the Year: the list of Kate Bazeley's accomplishments is impressive. In addition, no woman from the province has ever run a faster marathon. Kate debuted the prestigious distance in 2:40:49 at the 2014 Houston Marathon. This week, she will try to beat her own record when she returns to Texas to an incredibly packed field for what will only be the second marathon of her career. Kate will be toeing the start line on Sunday, January 20 at 7am local time and you can track her by following this link. NL Running caught up with Kate before her departure to the U.S.
Kate Bazeley during the 2018 Tely 10 in St. John's. Photo courtesy of Greg Greening. NL Running: What are your goals for this marathon? Kate Bazeley: I like to have a few goals for any race. For the marathon, my first goal is to finish feeling like I was able to give my all on the day. Based on my current fitness that should translate into a PB. I would like to run under 2:37 because that is the World Championship standard, and I think under 2:35 would be a good day for me. It’s a long, unpredictable race so we shall see! NLR: Who do you look forward to running with and racing against? KB: I’m hoping to get into a group for the race. When I ran it in 2014 I ran solo the whole way. I think it would be nice to have a group and get into a good rhythm together. I’ll have to wait to start to see who that may be, but I’m sure there will be some runners I can work with. I’m hoping anyway! NLR: Do you have a race strategy in mind? KB: My race strategy will likely be to pay attention to my pace and run as consistently as possible. I tend to get excited and start out a bit too fast sometimes. NLR: What was your training like? Did you prepare any differently compared to your debut on the same course in 2014? KB: Training has been a grind, to be honest. I’ve had a shorter build than one might expect. 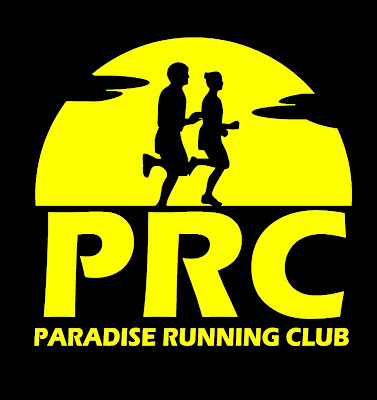 I did some shorter races in the fall and started to train for this race the very beginning of December. Even though it hasn’t been a long build, it’s been tough because of the weather. We got winter early this year! A lot of snowy runs, and searching for pavement. I did one workout of 23k on the boulevard in a 1k stretch and another last week of 27k on MUN campus. A lot of 180’s! But it’s been fun. I really like the work my coach, Jon Brown, gives me. The work has been similar to my build for 2014 really. Long tempos which I like, and some solid long runs. NLR: How do you keep your motivation high for those long, cold, and dark winter miles? What is the carrot on the stick for you? KB: I try to avoid the dark! I honestly love running and getting out most days. After a year off from fall of 2016 to fall of 2017, a few pregnancies, knee surgery, etc, I know I’m lucky to be out running, so happy for all the runs I can do. Usually, if you dress for the weather it’s not so bad once you get going. I did mention to Peter (Kate's husband, note) after my last long hard session that I don’t know how I do it. It was the workout around MUN where I did 27k at 3:42 pace in -19 on a small area, with traffic. I feel a bit wimpy for the cold and wind before and after my runs but once I’m out I guess I’m just focused on the work to get it done. NLR: Where does the 2019 Houston Marathon rank for you in terms of significance? Is it THE highlight of the year, or a buildup to something even bigger? KB: I really started back training this past September. I was basically coming back from zero this time last year and had a pretty bad injury May-June in my piriformis. I just ran for August and then in September reached out to Jon, and have been training with him since. We put Houston on the calendar right away because I loved the thought of it as a boost for my fitness. It was also something I could aim for starting then, where most races clue up October. It’s definitely the beginning for the year hopefully. I think I have PB’s in me for every distance so I plan on trying to tackle them all.